After showing off at the Paris motor show a car concept that could theoretically be a Porsche Panamera competitor, Infiniti’s next concept car, the Q60, is taking aim at the BMW 4 series. Infiniti has provided no information as to what lurks under the car’s tautly sculpted hood, so assessing how fast the Q60 could conceivably be is impossible. However, if judged on style alone, its looks definitely are head-turning enough to make a potential BMW M4 or Audi A5 coupé buyer think twice. From a design perspective, the Q60 picks up from where its last major show car, the Q80 Inspiration — unveiled in Paris in October — left off. It has a similarly low-slung roofline and a high sway line but its shorter proportions and big 21-inch wheels give it a more sporty, rather than elegant look. “The Q80 Inspiration was an indication of Infiniti’s future design language,” said Alfonso Albaisa, Infiniti Executive Design Director. 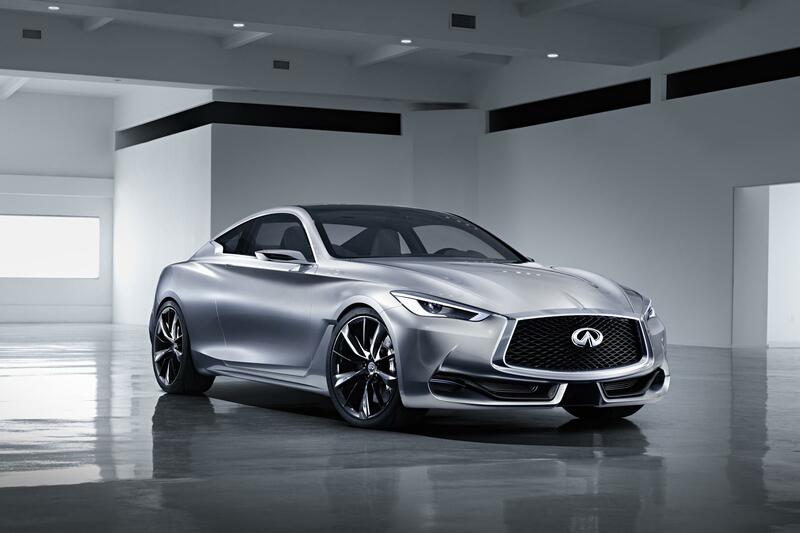 “The Q60 Concept is the next step in the journey. Inside, the car is a 2+2 rather than a four-seat coupé so not designed to carry four every day but Infiniti says that by using proper sports seats for rear passenger, leg room has been increased without having to lengthen the car’s wheelbase. The interior, with its hand-stitched and hand-matched leathers, also gives Infiniti an opportunity to demonstrate that despite being a comparative late arrival to the luxury car market, it can draw on the same levels of craftsmanship as its more established peers. If the company can offer this sort of blend of design and craftsmanship around a significantly exciting power plant then the Q60 will have no shortage of potential suitors. However, the full details surrounding the car and the company’s intentions regarding a production version won’t be officially announced until January 13 when the car is unveiled to the world’s motoring press at the 2015 North American International Auto Show in Detroit.